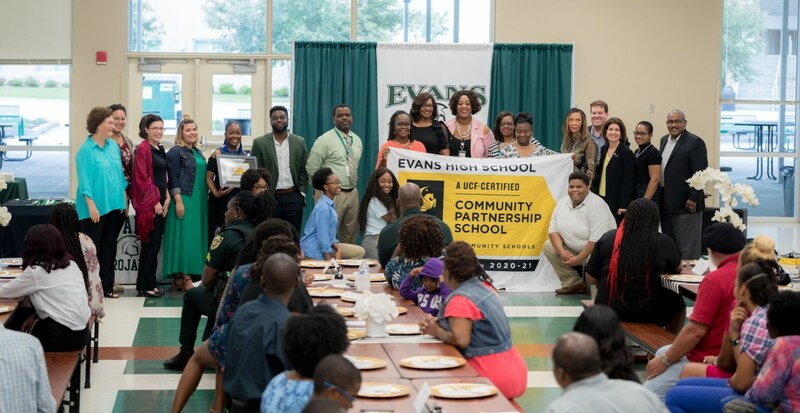 They’re Number 1: Faculty and community partners celebrate Evans High School becoming the first UCF-Certified Community Partnership School. And according to David Bundy, the importance of a certification process was discussed prior to the opening of Evans, the flagship Community Partnership School. Bundy is the president/CEO of the Children’s Home Society of America, and has been involved in the community school initiative since the beginning. 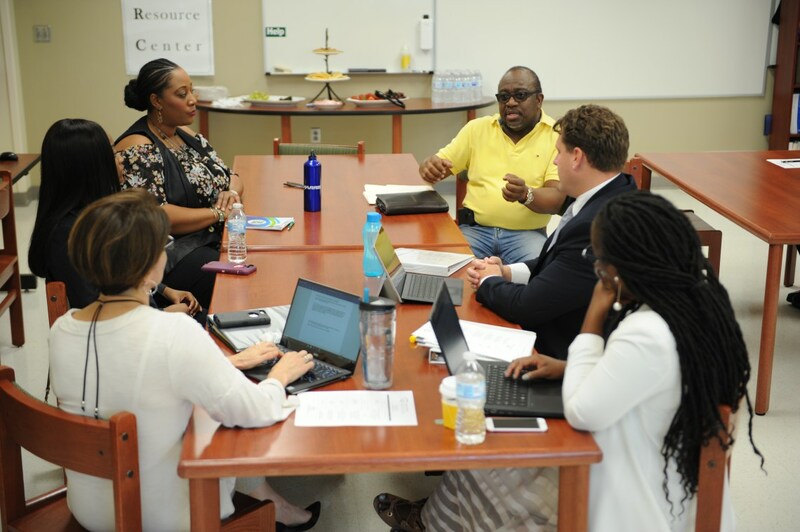 UCF staff and community members met last year to determine if Evans High School – A Community Partnership School met the criteria to become certified. First row, front to back: Amy Ellis, director of the Center for Community Schools; Sarai Antoine, Student Leadership Council vice chair, Kea Cherfrere, Community Council chair and Evans alumna. Second row, front to back: Lakema Massey, Community Partnerships School director, Sulphur Springs YMCA, Jarrad Plante, programs coordinator for the Center for Community Partnerships, and Pastor Frank Thompson.